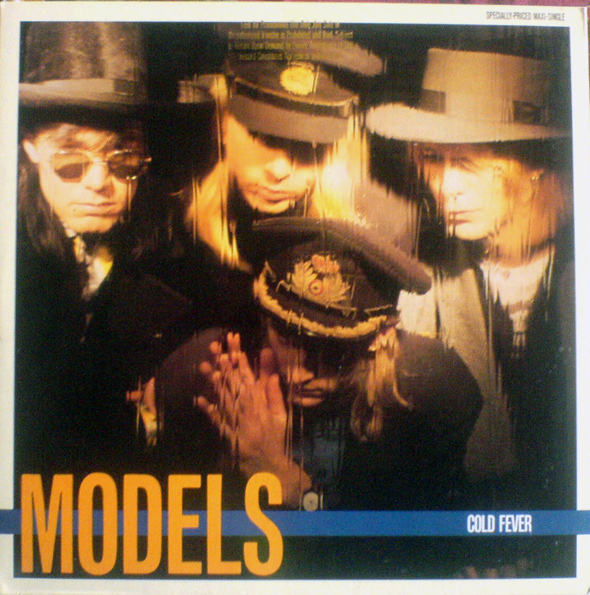 Models were an alternative rock group formed in Melbourne, Australia, in August 1978 and went into hiatus in 1988. They are often incorrectly referred to as The Models. They re-formed in 2000, 2006 and 2008 to perform reunion concerts. “Out of Mind, Out of Sight”, their only No. 1 hit, appeared on the Australian singles charts in July 1985. The related album, Out of Mind, Out of Sight, peaked at No. 3 on the Australian albums charts after its release in August. Out of Mind, Out of Sight appeared on the Billboard 200 albums chart, with the single, “Out of Mind, Out of Sight”, peaking at No. 37 on the Billboard Hot 100 singles chart. An earlier song from the same album, “Barbados”, had peaked at No. 2 on the Australian singles chart. 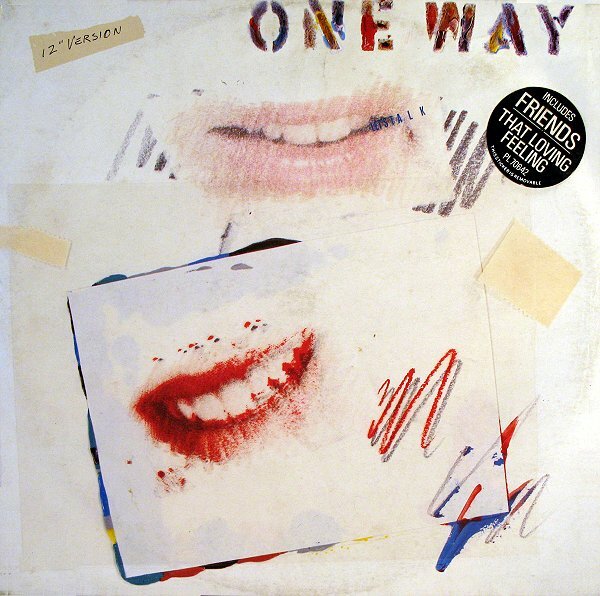 One Way was formed in 1979 in Detroit, Michigan as the newer incarnation of a band originally known as Soul Partners.Al Hudson, Alicia Myers, guitarists Dave Roberson and Cortez Harris, bassist Kevin McCord, drummer Gregory Green and keyboardist Jonathan Meadows were the original members.They first recorded as “Al Hudson and the Partners”, scoring an R&B hit on the ABC label called “You Can Do It” in 1979. The single “Let’s Talk” was a success in the clubs in 1985 and had minor UK chart success, the track was remixed by Louil Silas Jr. for the 12″ single release. 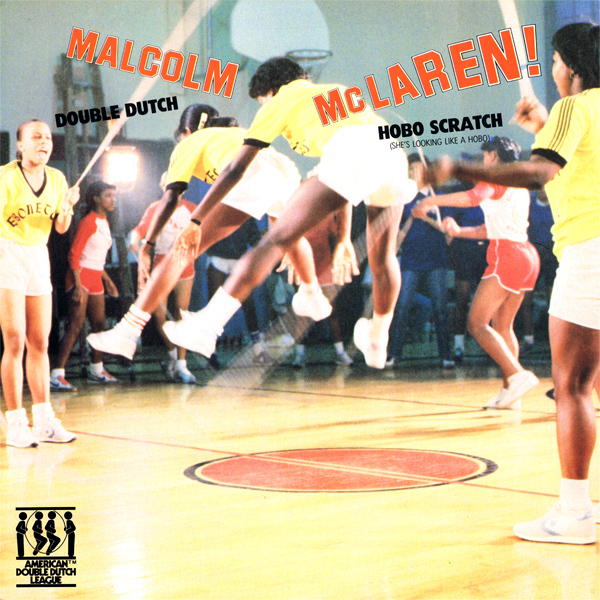 “Double Dutch” is a 1983 single by Malcolm McLaren produced by Trevor Horn. It is taken from his debut album Duck Rock. “Double Dutch” is the follow-up to his successful debut single, “Buffalo Gals”, and reached number 3 on the UK Singles Chart, making it his highest-charting single release. The album version is a slight re-edit of the single, with part of the original middle eight moved to the end of the track. Mbaqanga group, The Boyoyo Boys, took legal action against McLaren over the similarity of “Double Dutch” with their own hit “Puleng”. After a lengthy legal battle in the UK the matter was settled out of court, with payment made to the South African copyright holders, songwriter Petrus Maneli and publisher Gallo Music,but Trevor Horn and McLaren retained their songwriting credits. 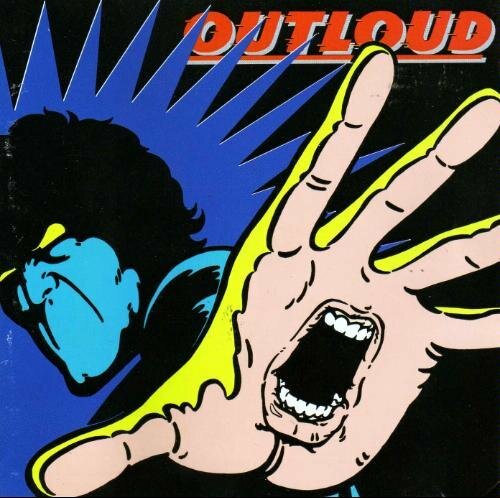 Nile Rodgers formed the short-lived experimental band Outloud in 1987, with David Letterman’s guitarist, composer and vocalist, Felicia Collins, and acclaimed French session musician, producer, composer and keyboardist, Philippe Saisse; they released a single album, Outloud, on Warner Brothers. The sole single “It’s Love This Time” was released in the US and Germany on 12″ single with a Club Mix and Dub by Bruce Forest and Frank Heller. 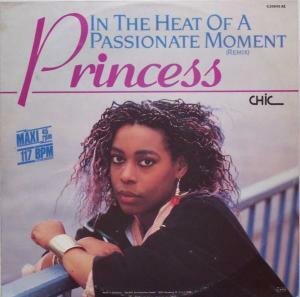 Princess (born Desiree Heslop, 27 November 1961) is a British singer who found chart success in the mid-1980s. In the late-1970s she worked with the group Osibisa. Her first solo album Princess (1986) was composed and produced by Stock Aitken Waterman which contained the single, “Say I’m Your Number One”. The third single released from the album would be “In The Heat Of A Passionate Moment” and like the two preceding singles, it would be released in a range of remixes. 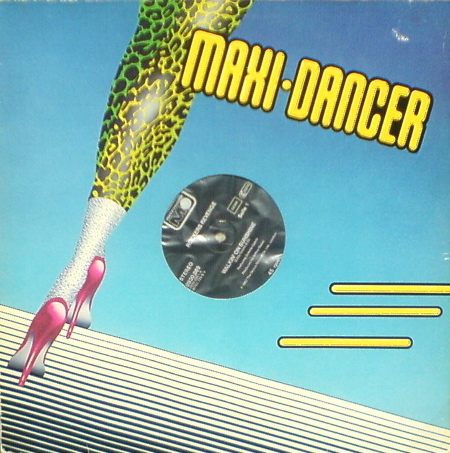 From the German 12″ single comes this Phil Harding remix. “Most of All” is the fifth and final single from Jody Watley’s self-titled debut album. “Most of All” was the least successful of the five singles released. It peaked at number sixty on the US pop chart but did find success on the Dance and R&B charts, where it reached numbers eight and eleven, respectively. The single was produced by Patrick Leonard and was co-written by Gardener Cole, both of whom had been involved with Madonna’s album, True Blue. The black and white video was directed by David Fincher and the 12″ single remixes were by Francois Kevorkian. Walking on Sunshine is a 1982 single by Rockers Revenge, a studio project assembled by producer Arthur Baker. The single with vocals by Donnie Calvin, was number one on the dance charts for one week.. The single did not chart on the Hot 100, but did peak at number sixty-three on the soul singles chart. 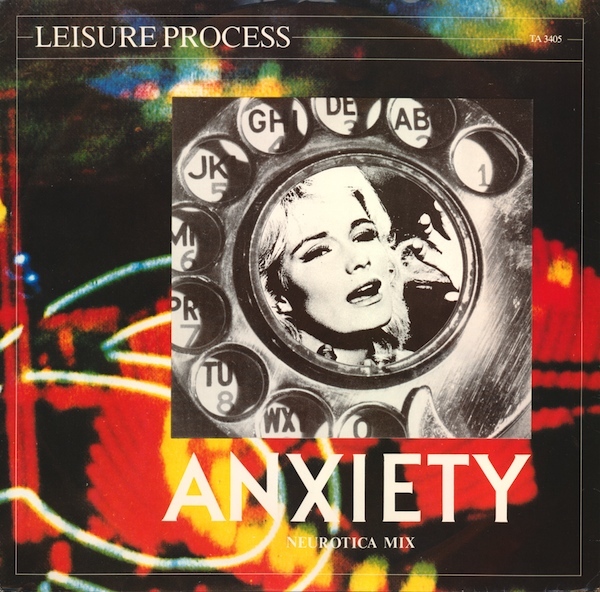 Leisure Process was a British New Wave duo formed in the early 1980s. They consisted of Ross Middleton, previously of post-punk Glasgow band Positive Noise, and session sax player Gary Barnacle. Four singles were released (one credited to ‘Leisure Process International’) before their split. They were signed to Epic Records and all singles were produced by Martin Rushent. 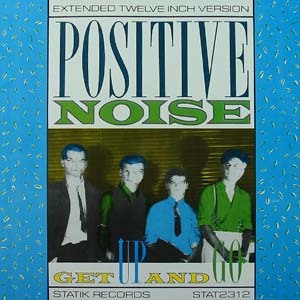 Positive Noise were a New Wave and Synthpop band from Scotland who had a number of indie hits in the 1980s. They released three albums and several singles and were together for over five years. The band was formed in 1979 by Ross Middleton (vocals), his brothers Graham Middleton (keyboards, vocals) and Fraser Middleton (bass guitar, vocals), Russell Blackstock (guitar, vocals), and Les Gaff (drums). The debut album Heart of Darkness was released in May 1981, after which Ross left to form the short-lived Leisure Process, with Blackstock taking over on lead vocals. Heart of Darkness peaked at number four on the independent chart, and the band’s second album, Change of Heart (1982), also charted, reaching number 21. The second single from the album “Change Of Heart” was “Get Up And Go” which was released in the UK on 12″ single in an extended version backed with an extended version of “Feel The Fear” on the B side. DATA were an electronic music band created in the late 1970s by Georg Kajanus, creator of such bands as Eclection, Sailor and Noir (with Tim Dry of the robotic/music duo Tik and Tok). After the break-up of Sailor in the late Seventies, Kajanus decided to experiment with electronic music and formed DATA, together with vocalists Francesca (“Frankie”) and Phillipa (“Phil”) Boulter, daughters of British singer John Boulter. 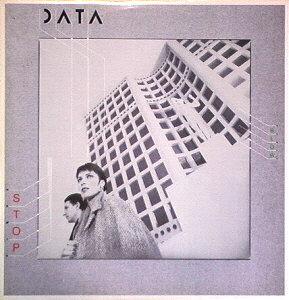 DATA released two more albums, the experimental 2-Time (1983) and the Country & Western-inspired electronica album Elegant Machinery (1985). The title of the last album was the inspiration for the name of Swedish pop synth group , elegant MACHINERY, formerly known as Pole Position. The first single to be released from the album “Elegant Machinery” was “Blow” in 1984 but this would be followed up in the following year with a 12″ single that paired a remix of “Blow” by Scott Blackwell with a remix of “Stop” by Ivan Ivan.